Aspire (local non profit) is hosting the event. Community awareness program highlighting Aspire’s Risk Avoidance message and how our programs impact our community. Hear from program facilitators, community partners, and most importantly…our students! Aspire (local non profit) is hosting the event. Partially funded by the Florida Department of Health. Dinner will be provided. Guest Speaker – Bill Kagey ( www.billkageyspeaks.com … for a powerful Dads perspective on Parenting Adolescents. Providing support & encouragement for parents and grandparents. 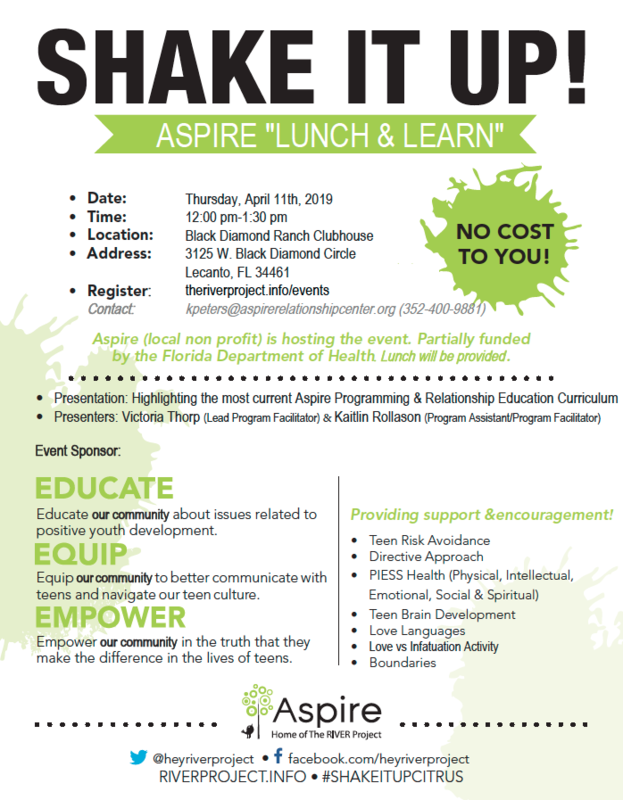 Come out to support the work of Aspire & join us for an evening of dinner, dancing & a brief program including Aspire’s new video. Homecoming Dance Attire – pick your decade! Dress up for a high school dance from the 20s, 50s, 60s, 70s, 80s, etc. !